The highest section of the Skyreach ruins, Skyreach Pinnacle appears to have been some kind of Nedic summoning or experimentation chamber. 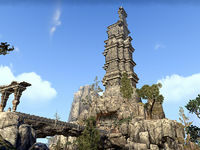 Skyreach Pinnacle is a ruined Nedic tower located in Upper Craglorn, east of Dragonstar. It is filled with Celestial Daedra and animals. The fifth and sixth volumes of Skyreach Explorer can be found inside the ruins. 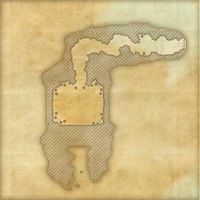 Prior to Update 12, this location used a regular Ruins map marker.